If you owe someone money then a County Court can order you to pay the money, known as a judgment. You will usually find that the details of this will be entered onto the Register of County Court Judgments. 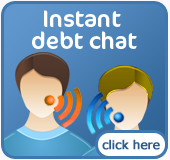 Should you be able to pay your debt within one month of the Judgment then the registration may be cancelled. If you pay this after one month, then you can still apply for the entry to be marked as satisfied. The majority of these entries will remain on the Register for six years. This information will often be used by banks and credit companies if someone applies for credit. If you disagree with a County Court Judgment you can ask the court not to apply it straight away. However be warned that if you do not have a genuine reason then you may face a penalty. You can only have your Judgment removed from the Register if you have paid the full amount within one month or if the Judgment is set aside. You must pay the claimant, their solicitor or representative depending on which is specified. Should you be late with your payments then the claimant can contact the court to make you pay. If you cannot afford to pay the amount requested then you can ask the court to reduce the instalments. Those who receive social security benefits may be able to claim exemption from paying a fee. If you still do not think you can afford to pay, you can ask the court to reconsider the order. What will happen if I do nothing ? If you have a county court judgment against then you must respond. If you do not pay anything, or you do not keep up with the payments, then the claimant is within their rights to ask the court to enforce the Judgment either with a warrant of execution or an attachment of earnings order (AEO). A warrant of execution means that a county court bailiff can visit your home or business to either collect the money you owe or see if your possessions can be used to pay the debt instead. If an AEO is sent to your employer then some of your wages will be taken and sent to the court which will then be sent to the claimant. When an AEO is requested you will have to either pay the money to cover your debt or fill in a statement of means form. The court cannot make an AEO against you if you are unemployed, self-employed, in the armed forces or a merchant seaman. If you are paying other debts then you can request the court for an Administration Order. It is important to remember that this will be entered onto the Register of County Court Judgments and will make it difficult for you to get credit later. If a county court judgment has been made against you then it is important that you contact a professional for help and advice. Once you have entered into a CCJ, your creditor still has the right to pursue you further. This could mean eventual bankruptcy as your only and final option. 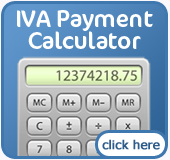 If you qualify and opt to enter into an IVA however, your creditor can no longer take any further action against you. It is possible to enter into an IVA within the 30 day repayment period granted to you when a CCJ is issued, this would stop the CCJ from proceeding any further and the IVA would take over as the repayment vehicle for your debts. You may also qualify to enter into an IVA even if the County Court Judgement is already in motion. Get in touch today and speak with one of our experienced, impartial consultants. Once you have made an informed decision about your debt and the best solution for your specific circumstances we can introduce you to a qualified, government approved practitioner. We NEVER charge any fees for our service and the initial process is entirely obligation free.